I admire Martin Luther King tremendously. He was a man who embodied the true American spirit believing that all men should be free. Using civil disobedience — peaceful protest — his words and actions sparked tremendous change and brought the attention of a nation to the needs of citizens who were being treated abominably. Portrait of MLK at Washington, DC’s central library which is named in his honor. Much like the patriots, he sparked a revolution of his own — yet no matter how provoked, his strong and gentle spirit knew that violence wasn’t the answer. He was a man of learning, and like his father and his grandfather before him, he graduated from Morehouse College. At Crozer Theological Seminary he was elected President of his predominantly white senior class before going on to receive his doctorate from Boston University. The author of five books and numerous articles, Dr. King borrowed from Christian teachings and the methodology of Ghandi to create change in a positive way. He motivated an entire region to boycott buslines for their discriminatory practices. His achievements were recognized world wide and for them he received the Nobel Peace Prize. I wish we had another leader like him today. Library at 901 G St. NW in D.C. In the spirt of Martin Luther King, Jr. Day, I’d like to bring my readers on a virtual visit to the memorial here in D.C. No, not the big marble memorial — though it’s lovely and I’ll do a post on that another day — but Washington, D.C.’s main library that was named in his honor. Somehow, I think it might be the memorial MLK would have liked best. 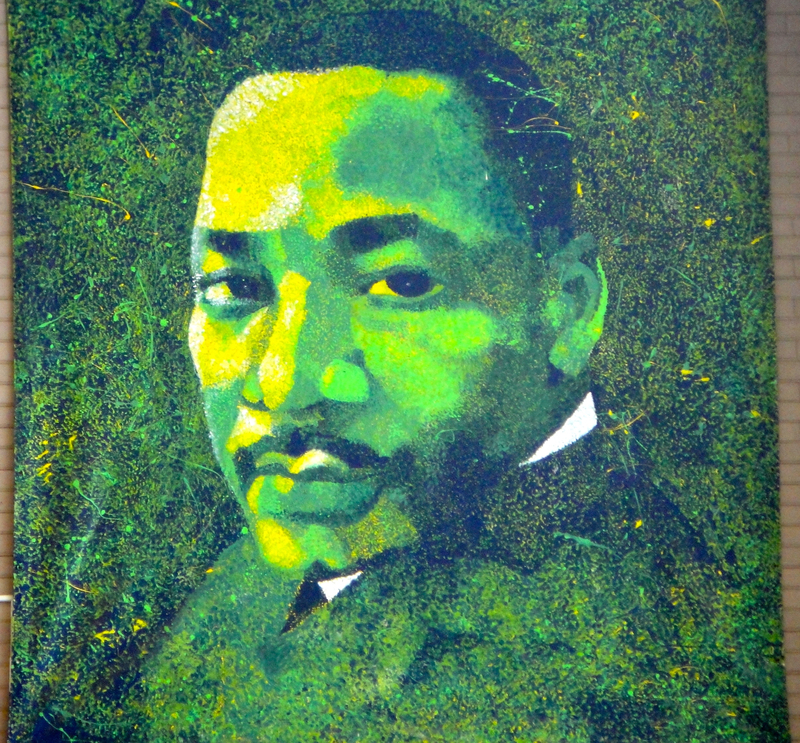 *The Martin Luther King Jr. Memorial Library – Central Library is open 7 days a week and is located at 901 G St. N.W., Washington, D.C. 20001 and is across from the National Gallery and the Chinatown/Gallery Place Metro station. Beautiful tribute to a great man. Thank you. So glad you could join me today, Betty! It’s a world-class library and I’m sure MLK would have been proud.